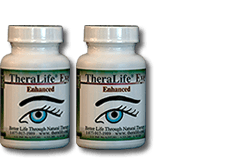 Our unique proprietary natural formula provides sustainable and lasting chronic dry eye relief. 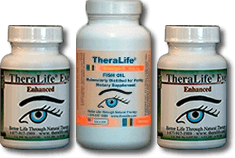 TheraLife Eye® Enhanced along with TheraLife® Omega-3 Fish Oil is clinically proven to achieve chronic dry eye relief from the inside out, through increasing intracellular metabolism (Mito-Activation), membrane permeability, and blood micro-circulation. This stimulates all the tear glands (meibomian, lacrimal, and goblet cells) to secrete their own tears naturally and overcome issues with poor micro-circulation and membrane permeability. Get dry eye help today! 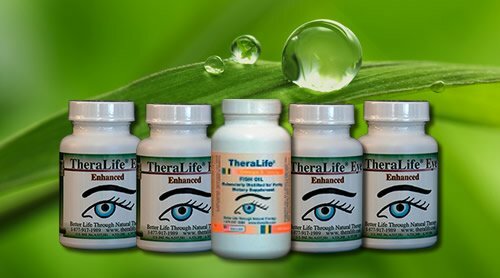 You may purchase TheraLife® Eye Enhanced only. For customers with already established tear film stability.